SHREVEPORT, LA — Centenary College’s Hurley School of Music announces enrollment for the 2019 summer session of the Centenary Piano Preparatory Program (CPPP), offering a special series of piano lessons between June 1 and September 2. Tuition ranges from $228 for a 30-minute group lesson during the 12-lesson session to $480 for an hour lesson during the eight-lesson session. To enroll, call the Hurley School of Music at 318.869.5235 or email music@centenary.edu. Tuition may be paid by check or cash at the Hurley School of music, 2911 Centenary Boulevard, Shreveport, LA 71104. 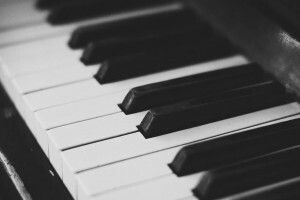 During the regular school year, CPPP offers both private lessons and class piano instruction for students ages five through 18. Students enroll for one year, and have the opportunity to participate in local piano festivals and give group recitals in the Anderson Auditorium at the College’s Hurley School of Music. For more information about placement in the Centenary Piano Preparatory Program, please contact Natasha Miller at 318.771.1909.